Christmas in New York City is one of the most magical and wonderful times of the year in New York City with so many fun and alternative things to do. It’s just another occasion to be merry, enjoy ourselves and explore the enchanting sites of a new city, The Big Apple. I promise you that visiting New York City at Christmastime is unforgettable! Regardless if it is cold or not, seeing the New York City Christmas displays such as lights on the shopping windows, fabulous Christmas decorations around town and visiting the Christmas Markets in New York City or holiday shopping pop-ups would delight any potential scrooge. In every borough of New York City, you will find festivities on every corner, street performers, houses lit up, Christmas music, food and drinks and of course, I need to keep bragging about the unique Christmas Markets in New York City. If you are lucky enough to see the snowflakes falling, especially on a perfect white Christmas Day in NYC, you will think that you’re in the middle of a postcard. What else you can ask for? NYC is the place to go during Christmastime for a once in a lifetime experience! Still there? 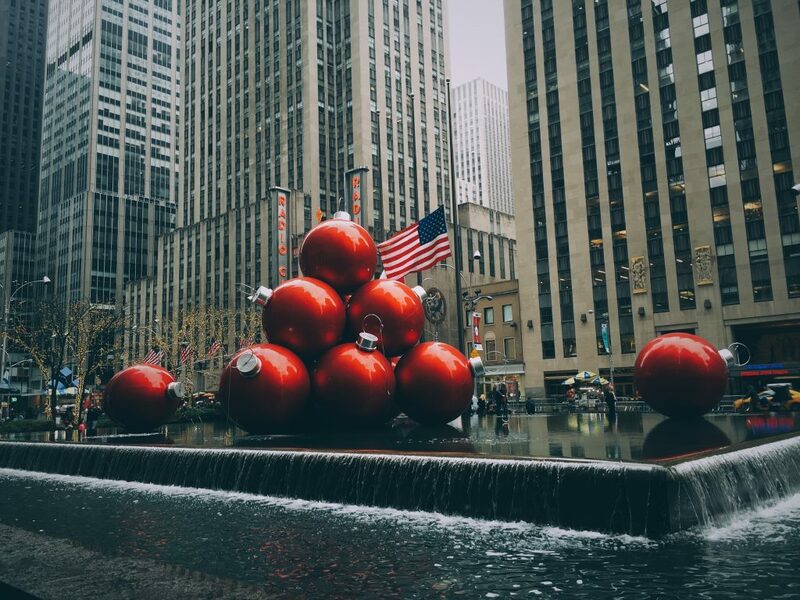 Are you already planning a trip to New York for Christmas? It will hold a special place in your heart forever. I must admit that even as a New Yorker (born in New York), and having been a living in the Queen’s borough, city of Astoria for the past 10 years, my heart still gets excited for Christmastime in New York. As soon as the Rockefeller Center Christmas tree is up and people start decorating their houses, I cannot stop smiling as I stroll through my City. 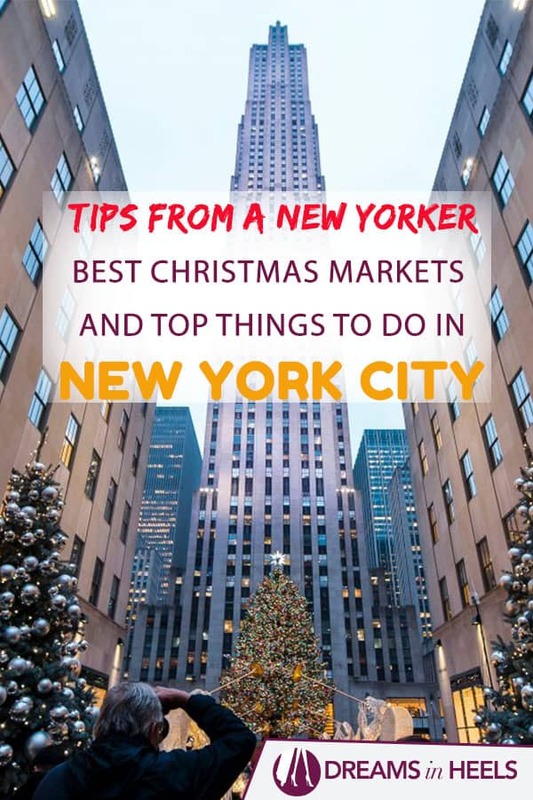 If you had Christmas in New York City on your bucket list, this is the time to make your dream come true and this travel guide, with best tips for Christmas in NYC 2019, you will find all the information needed for planning a once-in-a-life-time trip! 1 What to expect when spending Christmas in NYC? 3 What to pack for Christmas in New York City? 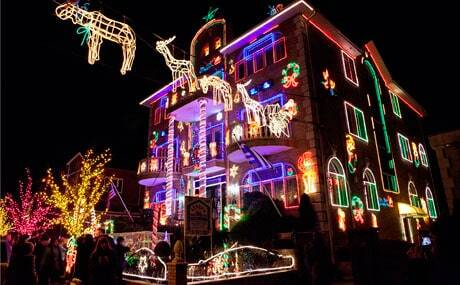 5.2.2 Go and see the Christmas Lights in style! 6 Does New York City have a Christmas Parade? 9 Best Things to do in New York City on Christmas Day – What is open? 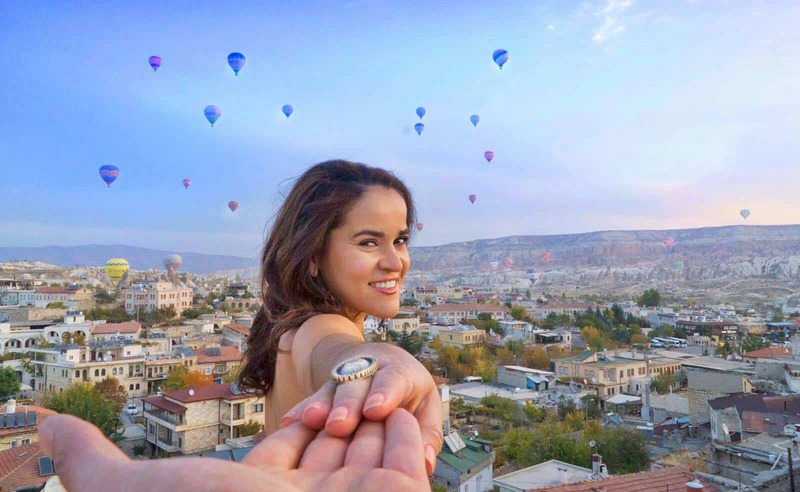 10 My Top Travel Tips for you! 10.1 Looking for great nightlife, rooftop bars, restaurants and more? 10.2 Can’t go wrong in deciding to spend the holidays in New York City! What to expect when spending Christmas in NYC? Christmastime in New York City is super fun and unique, but it’s also very touristic. Lots of people come from all over the world to spend the holidays in NYC. Lots of people come for shopping and to take advantage of the amazing deals, for visiting the unique Christmas Markets in NYC, others dream of seeing the Christmas Tree at the Rockefeller Center, enjoy the New York City Christmas Lights, the parades or just simply attend a New York City Christmas Spectacular Rockettes Show. My recommendation is to try to take the subway as locals do. It saves you so much time, because the traffic will be insane during Christmas. Regardless of the time of the year, the subway is one of the best methods of transportation around NYC. If you are spending 4 days, 5 days or one week in NYC, to save money, buy a one week unlimited metro card. It is one of the best options to move around from place to place, especially when it gets colder and you want to walk less between attractions. Tip: You should download an app on your mobile phone called New York City Subway Map which contains offline maps and online planners. This app comes in handy to have the subway map offline without using data. I always have it on my phone. If you are online, download the following app NYC Subway: Offline Map + Train Times for New York (by Thryv, Inc) to get connected to real-time subway feeds (so that you know when it’s coming). NYC Buses are wonderful too, especially for admiring the city as you travel (and it’s the only way to really get “across town” on major Streets across the City), from East to West and back again (Canal Street, 14th street, 23rd Street, 34th Street, 42nd Street, 57th Street, etc…). And for real-time schedules, go to bustime.mta.info type in your bus # (ex. buses in Manhattan start with an “M”) to see in real-time where the bus is and get an estimate of when it will reach your stop. Don’t waste time waiting for transportation! Of course, there are many private options for traveling around the city, if you’re willing to spend a little more money. Uber is use a lot in NYC, especially Uber Pool since allows you to share your ride with other passengers and cut the cost (oftentimes more than half the usual price for a private ride). It is another option similar to Uber. It also has the pool option. It started like an app that was initially only available to riders within Manhattan, but now it’s expanded to boroughs such as Brooklyn, Queens, etc. I found their prices to be usually cheaper than with Uber and Lyft, but always comparison shop. Price varies during time of day, location and number of people in your group. 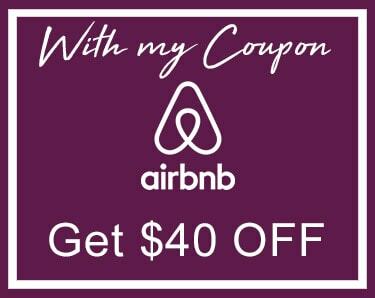 Get others to sign up (with your personal code) and you will receive a $10 credit for each person. When you sign up for first time to Juno, you get 30 percent off your rides for two weeks. With that discount, the cost is way cheaper. *With any transportation app, always be aware of high demand times, not only because of traffic, but more so because of the surcharges. It could turn into a very expensive ride. What to pack for Christmas in New York City? The key to successfully packing for Christmas in New York City can be summed up in two words, layer up! It is definitely what you should think about when starting to pack. In NYC, the weather can change drastically from day to night especially during Christmas season. I’ve had occasions where Christmas Day has been warm like spring (in the 70s) and the day before it was freezing (like in the 20s 30s). This is why it is good to be prepare by packing layers in your luggage. In reality, early December is usually comfortable around 40s and 50s and then starts getting colder towards the end of the month, sometimes with freezing rain or snowy days. 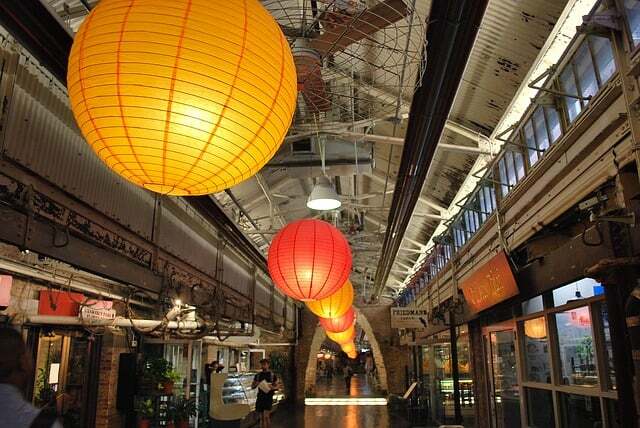 As a New Yorker, I am always obsessed with the shopping and food markets in New York City. 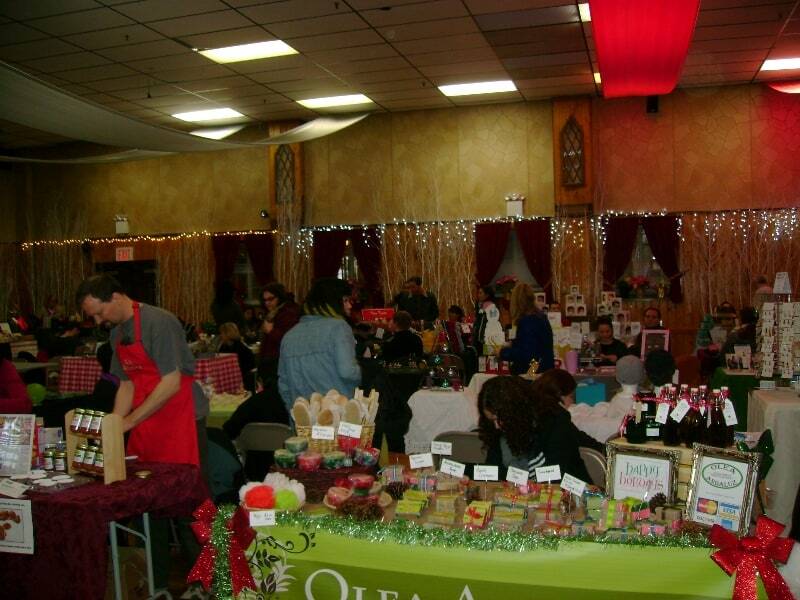 We have permanent markets (all year round) and the holiday pop-up ones, better known as Christmas Markets in NYC. In this list, I will mention some of my favorite ones for you to go and discover them for yourselves. #1 Tip: There are lots of opportunities to have stuff personalized. Hitting those carts first (holiday ornaments, stockings, mugs, etc.) is better so that you can keep shopping (while you wait) and return to pick up your personalized items a little later before you head out. Winter Village by Bank of America is definitely one of the top Christmas markets in NYC. I love to stroll around the hundreds of food and shop stalls, some only located in this market. 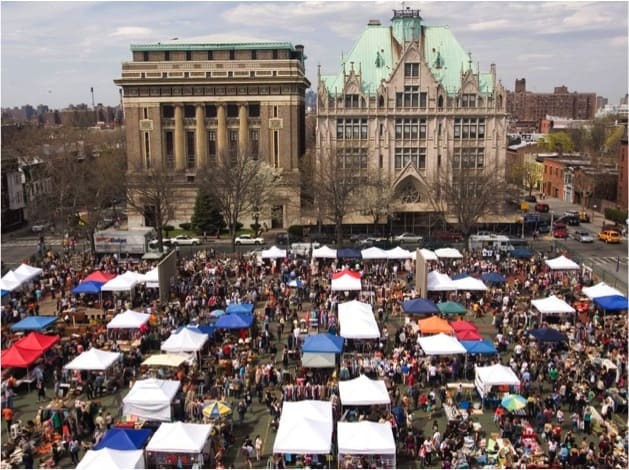 It is a European inspired, open-air market which hosts artisans from New York City and from around the world. I just love the unique things you can find from vendors in the artisans boutiques (anything from jewelry, holiday gifts, art and more), and the smell of the food is almost as good as it tastes! And of course, my favorite holiday past time, ice skating! I love the rink at Bryant Park, which is the only free admission ice skating rink in NYC and, if you have your own skates, makes it the perfect deal for free (especially when you compare the costs for a rink session at the famous Rockefeller Center or the Fri-Sun rates of Central Park’s Wollman Rink). Note: There are more specific details about the rinks on the Ice Skating Rinks section of this post. Note: The Holiday Shops are only open through January 2, 2019. 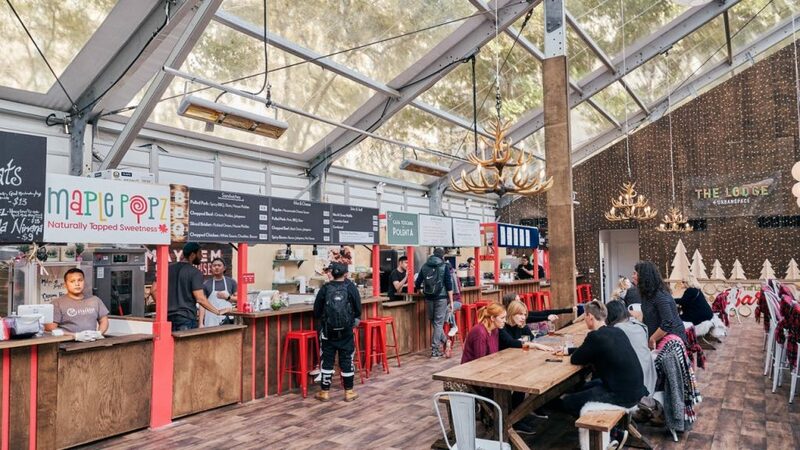 *There is also a new pop-up restaurant inside the rink at the Winter Village, which is open until March 2019, called The Lodge by Urbanspace. It is more like a bar with a food hall including a dozen new and classic NYC restaurants. The Lodge features a festive cocktail bar surrounded by a full range of eateries, including Mah-Ze-Dahr bakery, Pierogi Boys, Good Stock, Todaro Bros, Chimney Cakes by Stackery, a S’Mores Bar by Squish, an outdoor beer garden, and many other exciting dining options to fulfill the holiday cravings of New Yorkers and visitors alike! P.S. Their observation deck, located on the second floor of the Skating Pavilion, is the perfect place to warm up and watch the skating below and it is free of charge (while the Central park one costs $5). You can sit there while enjoying a selection of games, chess, and art supplies. No purchase is necessary to enter the Overlook. Note: Make sure to check here before visiting, since sometimes they host private events there. Another one, The Columbus Circle Christmas Market (15 years and going strong), is just one of my favorites since it’s perfectly located right outside of Central Park; so, you can go on a stroll around the park before or after. There is also a huge shopping mall across the street (for any last-minute shopping needs). And the Christmas Market itself is super nice, having all kind of shops: crafts, home accessories and very tasty food. 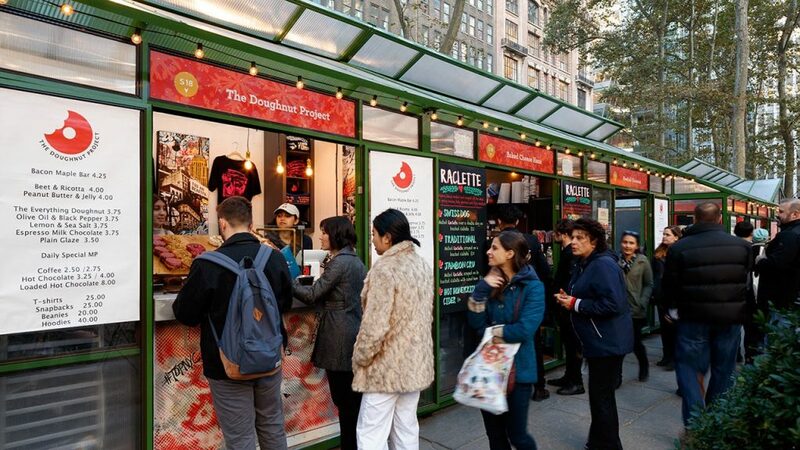 You can find everything from traditional Christmas food, to NYC regular street food, to even Mexican tacos and more. I personally always go for the waffles, the freshly baked NYC style pretzels and my Glühwein (german word for mulled wine). Sorry for going on and on, but a lot of the markets are just as wonderful as the Christmas Markets in Germany and Austria (which I always visit when I’m living abroad and can’t be in NYC). In addition, Central Park has one of my favorite ice skating rinks, Wollman Rink. Is anyone thinking about the movie “Serendipity”? Call me crazy but I totally love that romantic Christmas movie. After seeing that movie, I was always looking forward to fighting for a pair of gloves in Bloomingdales and finding my soulmate. While we’re on the subject, stop by Serendipity 3 Restaurant (60th street between 2nd and 3rd Avenues) for their famous frozen hot chocolate (as you’ve probably guessed by now, it’s also featured in the movie). If you are looking for an indoor market with very unique gifts, The Holiday Fair at Grand Central is the Christmas market for you. A shopping experience featuring 40 talented artisans plus it is one of the finest, longest-running indoor holiday fairs (since 1993) in New York City. Visiting the Grand Central Terminal itself is already a unique thing to do from an architectural point of view, and the Fair itself takes up half of the historic Vanderbilt Hall. The highlight of this fair is that their Committee spends the year looking for unique vendors with a focus on American-made and handmade products with locally-sourced materials or a socially-conscious business model. I love how they curated the market, with items such as artwork, clothing for all ages, men’s/women’s accessories, children’s clothing/toys and home goods. There is something for everyone and at different prices. Everyone shops there, from New Yorkers, to commuters and tourists as well. Check it out and find an interesting gift for your special loved ones. Union square, always a busy area full of vendors, but it’s even more crowded around the holidays! 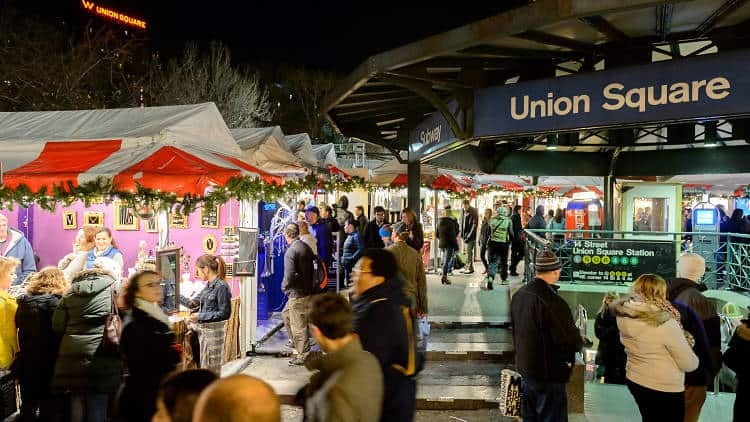 The Union Square Holiday Market truly represents the holiday spirit with a very cool atmosphere and quite a large market with over 100 vendors. Previously, I’ve found super unique items there, especially ones with New York City themes. They do sell everything from handmade jewelry, hand-blown glass, housewares to sustainable and Eco-fashion friendly products like handbags and accessories made from recycled plastic, Asian crafts and more! Let’s not forget about the food vendors with something for everyone. For an extra hit of chocolate, you should make a reservation to go to Max Brenner’s Chocolate Bar (located at 841 Broadway, btwn 14th & 15th Streets). The smell alone is worth a visit, plus they sell lots of fun non-chocolate items, like chocolate scented pencils, fun mugs, t-shirts and more! Market infoDates: November 15-December 24, 2018 (closed Thanksgiving Day Nov 23) Hours: Monday–Friday 11am-8pm; Saturday 10am-8pm; Sunday 11am-7pm; closes at 4 pm December 24. Location: Union Square at 14th Street. 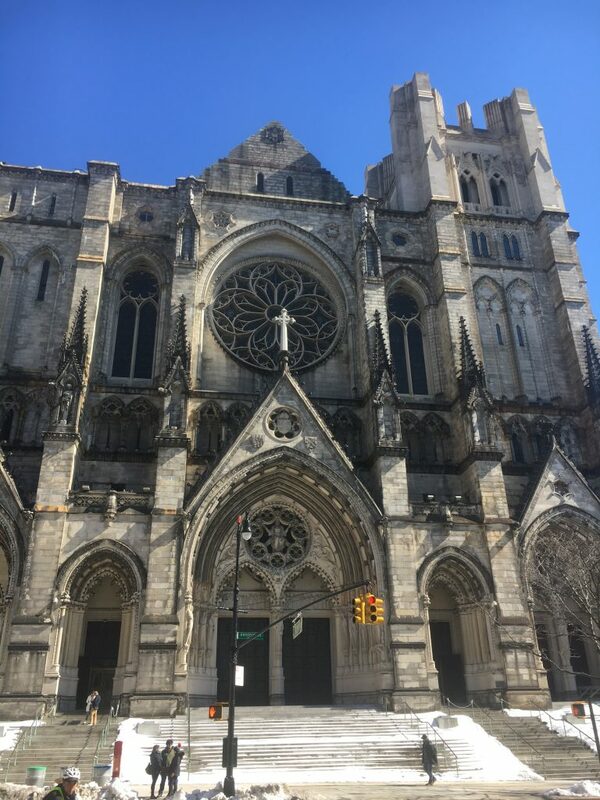 One of my favorite cathedrals in NYC is St. John the Divine located in Morningside Heights, adjacent to Harlem. 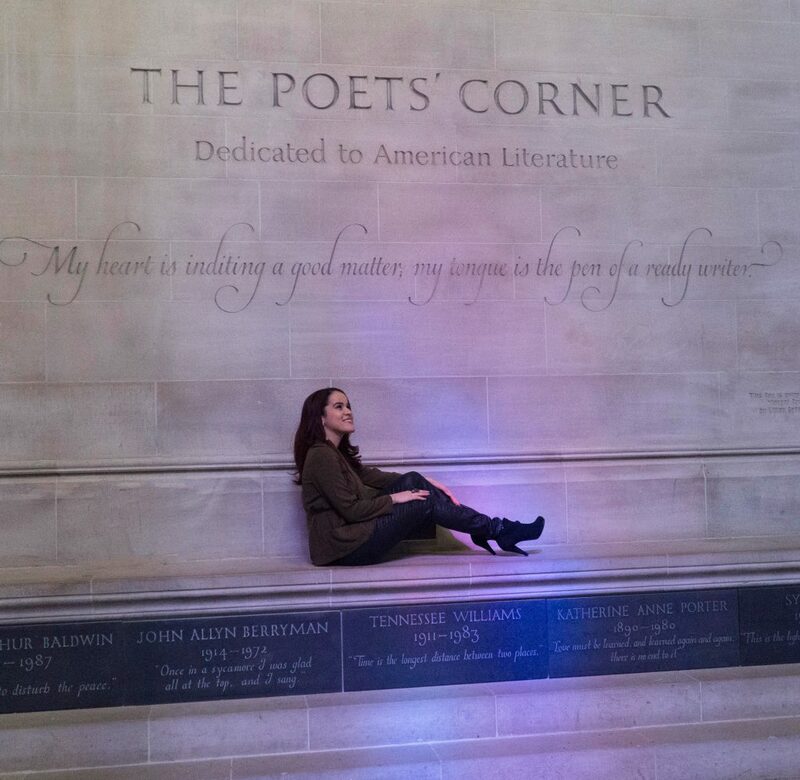 As a poetry writer, I am obsessed with their poets corner, honoring the great american poets. I found the place to be so spiritual that I usually go to visit it whenever I’m in NYC. During the holidays, they put on a three-day arts and crafts fair inside this beautiful cathedral, featuring crafts from fine artisans around the City. I totally recommend it! Tip: While you are on the area, eat pizza around the corner at Koronet (Broadway btwn 110th & 11th Streets) then head to see a Gospel Show in Harlem. 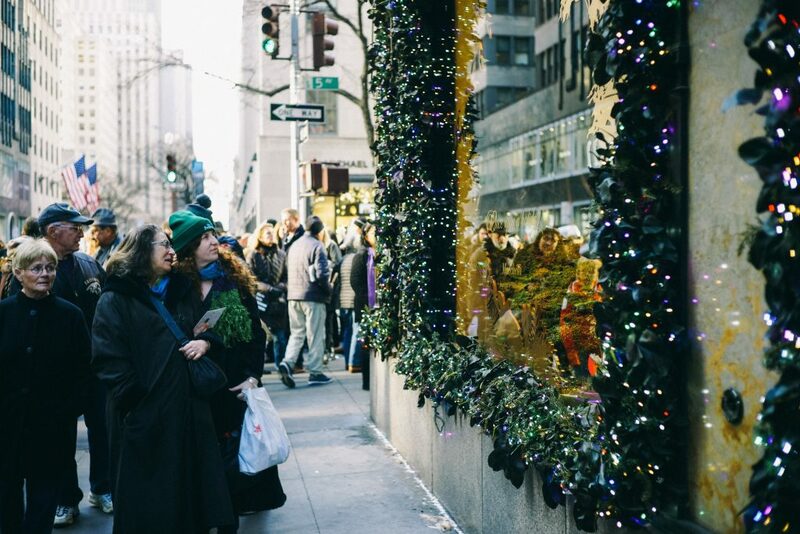 Wondering what to do in New York City during Christmastime?! This travel bucket list will guide you and help you to plan ahead. 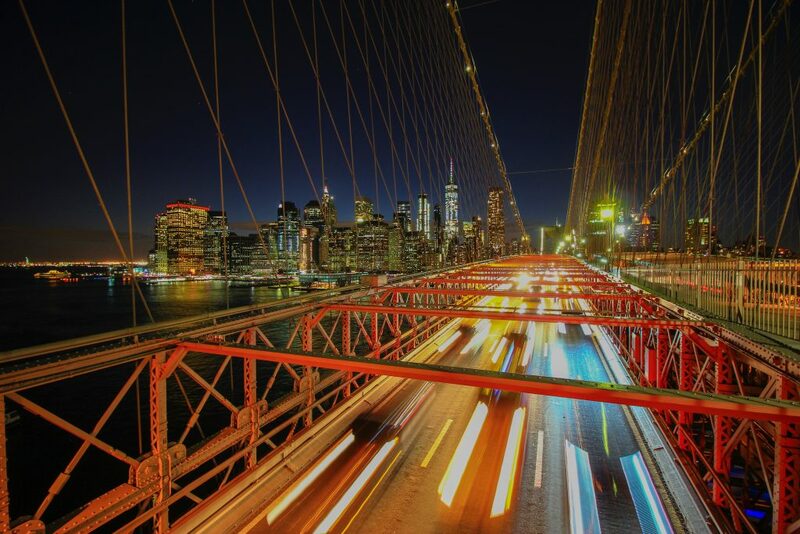 If you are planning to go on many activities and tours, I recommend for you to grab the NYC Explorer Pass which saves you some money by giving you big discounts on many popular NYC attractions and tours. 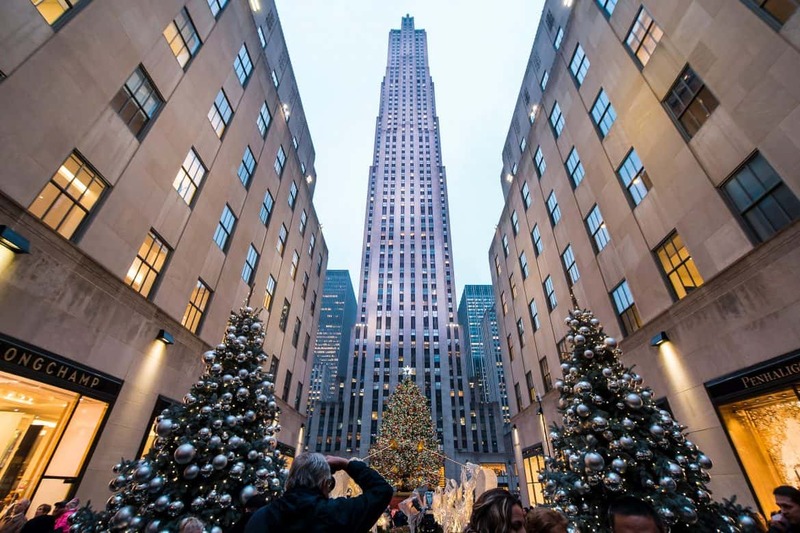 The tradition of the Rockefeller Tree started officially in 1933. This was a historic year, since it was when 30 Rockefeller Center Plaza also opened. You definitely need a selfie in front of this iconic tree! When is the Christmas tree lighting ceremony in New York City? The tree is usually lit up the week after Thanksgiving Day/Black Friday (November 28, 2018) in a televised ceremony and it remains on display until the day after Three Kings Day (January 7, 2019). This year, the tree is 72-feet-tall (22 meter) and was cut down from somewhere in upstate NY. The tree will be hoisted onto a 115 foot-long (35 meter) flatbed trailer to be brought to Rockefeller Center in the heart of NYC, Midtown Manhattan. 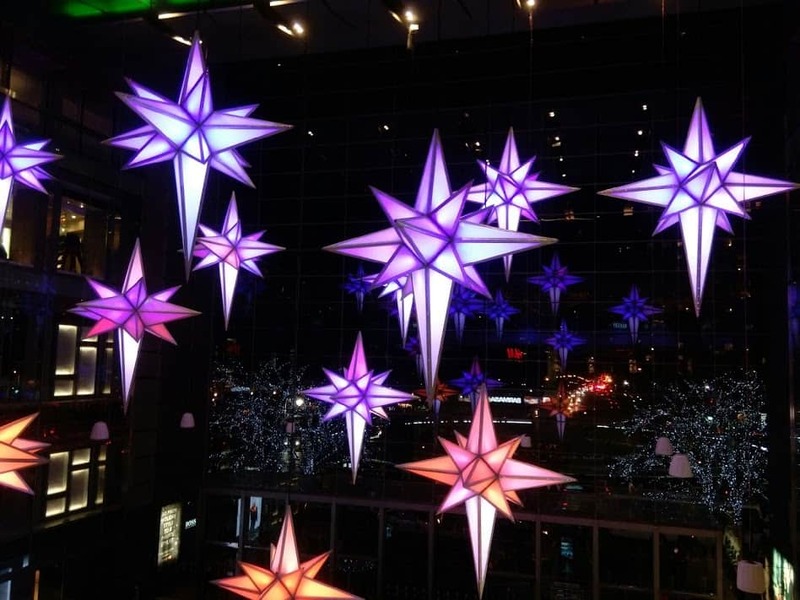 Fun Fact: The star is a Swarovski crystal star; it weighs 550 pounds and is nearly 10 feet in diameter. Everyone, from New Yorkers to visitors pack the Rockefeller Center during the ceremony and stay afterwards to get the perfect photo. My tip is for you to either go super early in the morning or go in the evening to get the best photos. I prefer the evening since it looks so beautiful when it’s lit up at night. One of my favorite things to do during Christmas in NYC is ice skating. For many tourists, Rockefeller Center is the place to go since it is a very iconic place around the world. 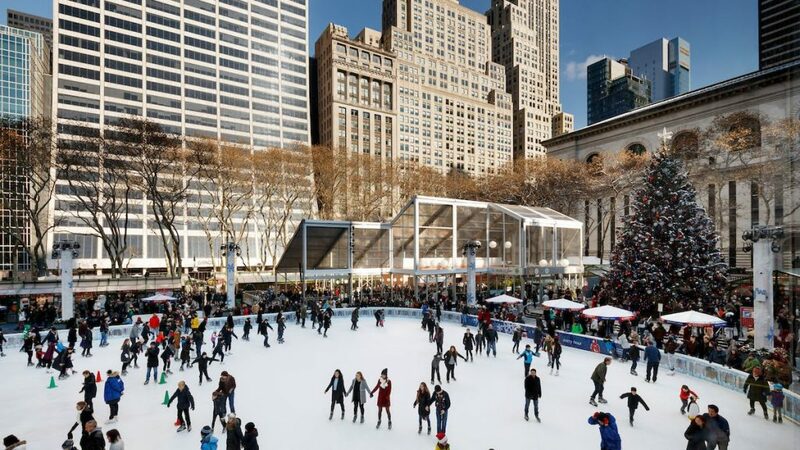 Even though it is definitely beautiful, because of the Christmas Tree and all, I personally prefer the Wollman Rink in Central Park and or the rink at Bryant Park (the centerpiece of Bank of America’s winter village). Kids are defined as 11 years of age or under. 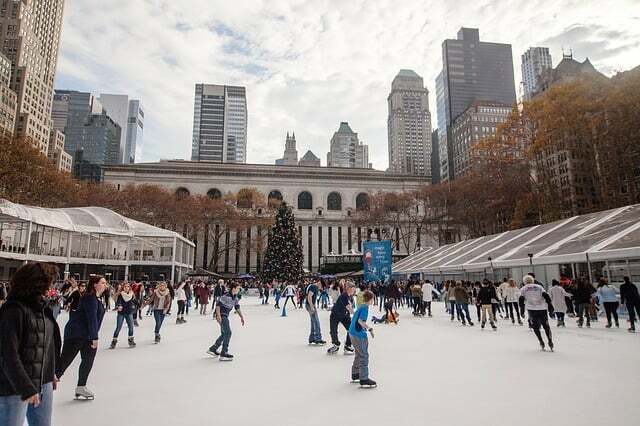 It is the only free admission ice skating rink in NYC! It is definitely great for those who have already skates and still cheaper than other rinks including the skate rental cost during the weekends. The skate rental is $20. The rink is open daily from 8:00am to 10:00pm until the beginning of March. Remember that General Admission skating is on a first-come, first-serve basis, whenever the Rink is open to the public. No advance reservations or online sales are available for General Admission – tickets are sold only in their Skate House. If you prefer to skip the lines, there are VIP skate reservations which gives you premium passes that gets you on the ice through the rink exclusive VIP Igloo. You can make a reservation here. 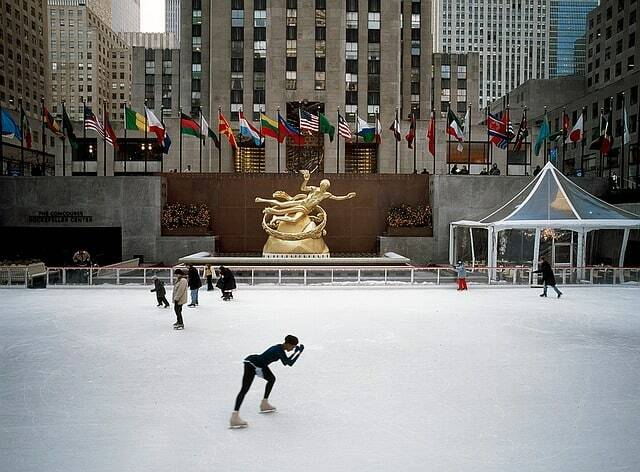 Fun Fact: You can also propose marriage at the Rockefeller Center ice skating rink. It is called: Engagement on Ice! They have silver, gold and platinum packages. It ranges from $300 up to $1000 depending on what is included. You can make your reservation here. The New York Botanical Garden (NYBG) favorite holiday tradition is back! 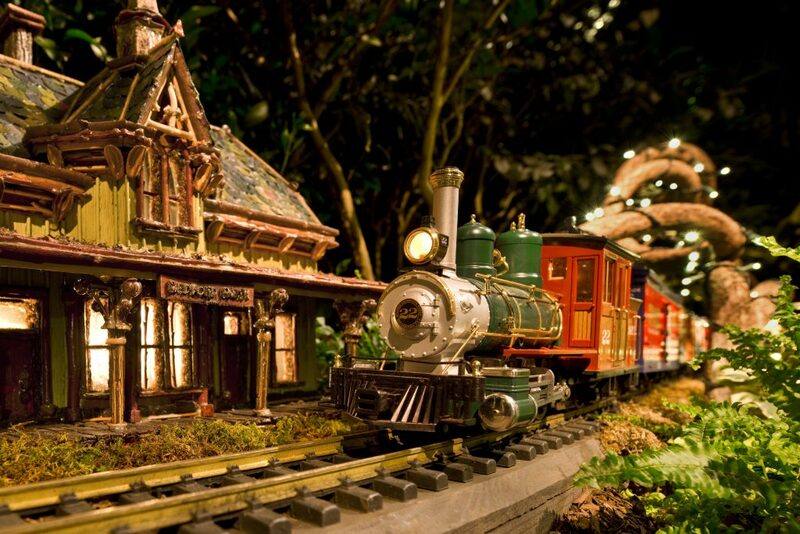 For the past 27 years, the holiday train show is a must see for Christmas in NYC. Check out how enchanting model trains zip through an amazing display of more than 175 New York landmarks, each recreated with natural materials. This year, for Christmas in NYC 2018, the exhibition showcases Lower Manhattan – the birth place of New York City – featuring the Statue of Liberty, Ellis Island and Iconic Skyscrapers. The highlight and debut this year will be the One World Trade Center and the historic Battery Maritime Building along with two vintage ferry boats. Note: *Advance reservations are highly recommended as tickets do sell out. Book your tickets here through Get Your Guide. In addition, NYBG have special events for adults only and also a Bronx Night Market Holiday Pop-up with the largest food market Uptown and in the Bronx. I am totally loving this amazing pass: New York Botanical Garden VIP Early Access Holiday Ticket. Enjoy one of the best and most iconic Christmas shows in NYC! The Christmas Spectacular starring the Radio City Rockettes is an annual musical holiday stage show presented at Radio City Music Hall in New York City. The 90-minute show features more than 140 performers and an original musical score, and combines singing, dancing, and humor with traditional scenes. This show also gets sold out quite quickly around the holidays. Consider booking your tickets soon. It is kind of hard to beat the midtown crowds to see the 5th Avenue Holiday Window Displays, but I promise you that the displays are totally worth the effort. Each year, I still get excited to see them, even as a local, since they change the themes and concepts. Some of my favorite stores decor are Saaks 5th avenue, Bergdof Goodman, Henri Bendel (which sadly is totally shutting down after this Christmas Season is over), and Lord & Taylor (which is also closing in 2019 after 104 years in business). Also, not directly on 5th avenue but close enough (on 59th Street and Lexington), there’s Bloomingdales, which also has a great window display every year and Barneys on Madison Avenue, Lenox Hill area. In addition, who can forget about visiting the Miracle on 34th Street, Macys Herald Square window displays (34th Street and 6th Avenue) where you can also go upstairs to take a famous picture with Santa Claus. Or if you prefer to have a Manhattan Christmas Holiday Lights Tour with a local guide, you can check this one out. Another thing to do during Christmas in NYC is getting tickets to watch the seasonal musical adaptation of the Dr. Seuss children’s book How the Grinch Stole Christmas! 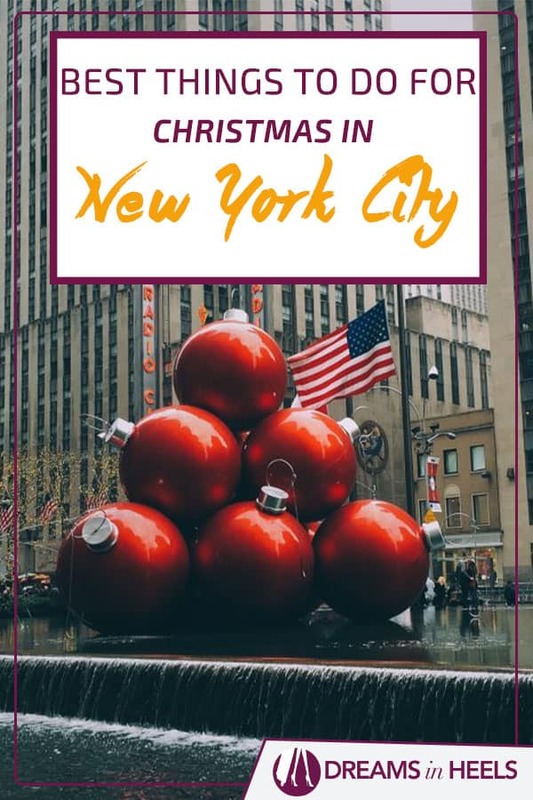 In this section, I compiled some of the best New York City Christmas Tours you can take and I also give you information on how long it will take you to do it on your own. Many people come to NYC to visit the Rockefeller Center or the 5th avenue window displays, but the Dyker Heights Lights in Brooklyn are the most extensive and imaginative Christmas lights in all of New York, starting back in the 1980’s. If you are not familiar with this area, Dyker Heights is an affluent residential neighborhood in the southwest corner of Brooklyn. All the homeowners in the neighborhood decorate the area, some spending upwards of $20,000. Many people come in their cars or on their own. 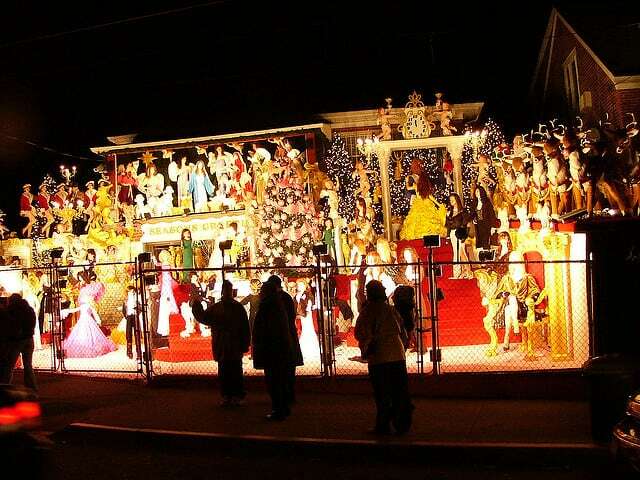 The most impressive Christmas lights are along 11th Avenue to 13th Avenue, from 83rd to 86th street. From midtown Manhattan, it will take between 1-1.5 hours roughly by public transportation. You will also need to walk 15-20 from the subway (or Uber it). 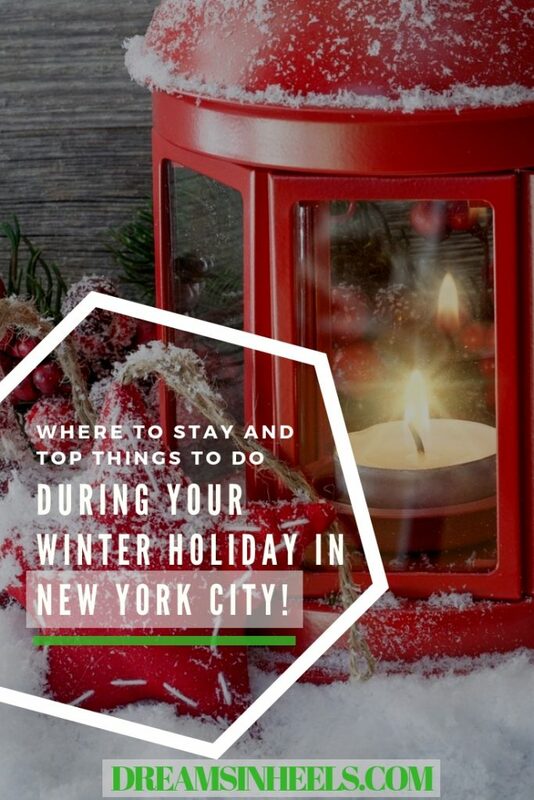 My recommendation is to avoid all that hassle, especially with so many things to do in NYC during Christmastime, and just take a Dyker’s Heights Christmas Lights Tour. Most of the time, they are conducted via a luxury minibus from the City, and also you can learn something about the history of how it all started. A win win situation. You will understand why NYC is a magical place at Christmas, while traveling comfortable and staying warm. To book a Dyker’s Heights Christmas tour leaving from Macys Herald Square (34th Street), click here. 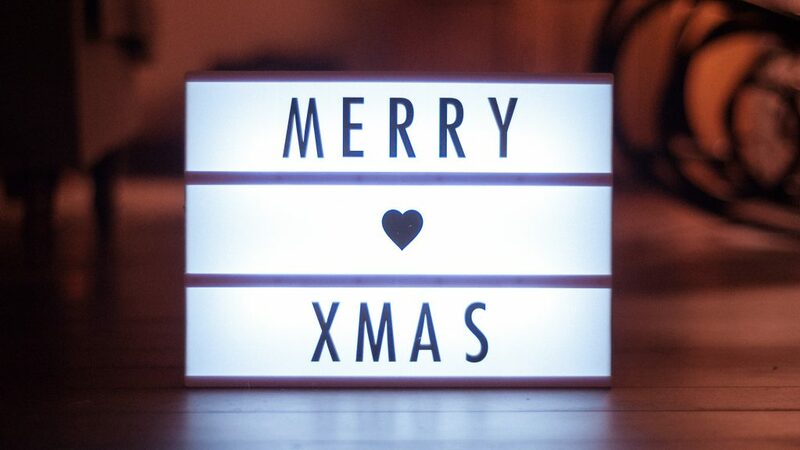 Go and see the Christmas Lights in style! If you love traveling in style (well, who doesn’t), why not taking a NYC private Christmas lights tour via a limousine ride. This one right here seems like a cool thing to do for a good price. I have been to this house before and it is located in Pelham Bay. I went by car, but you can also take the subway (6 train to the Pelham Bay Station) and walk about 20 minutes from the station. This is the address: 1605 Pelham Pkwy. North, Bronx, NY 10469. In my honest opinion, I feel that it’s quite far to commute there by train (especially if you are on in NYC for a limited amount of time); Easiest way to travel is by car, or you can take the train and then an Uber from there to the house and then back to the station. Does New York City have a Christmas Parade? Not in the traditional sense. 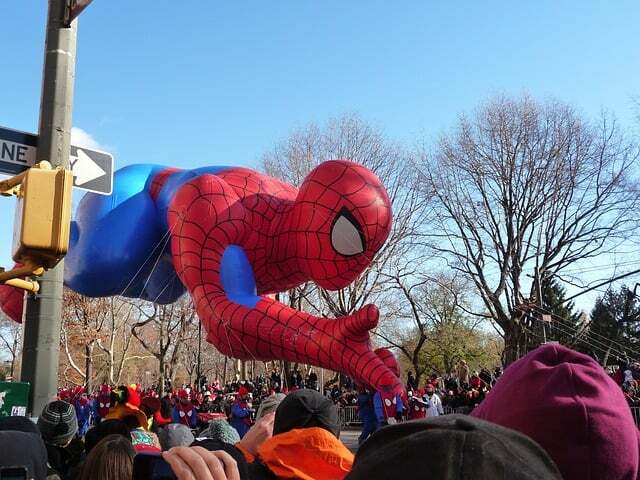 Many locals describe the Macys Thanksgiving Parade as the starting point of the Christmas Season. So, even thought it’s not necessary called New York City Christmas Parade, it is a symbol that is beginning to look a lot like Christmas. I had many opportunities to go on shopping tours, all from thrifting shopping, searching for vintage looks, exclusive sales inside designers showrooms and of course the outlets. 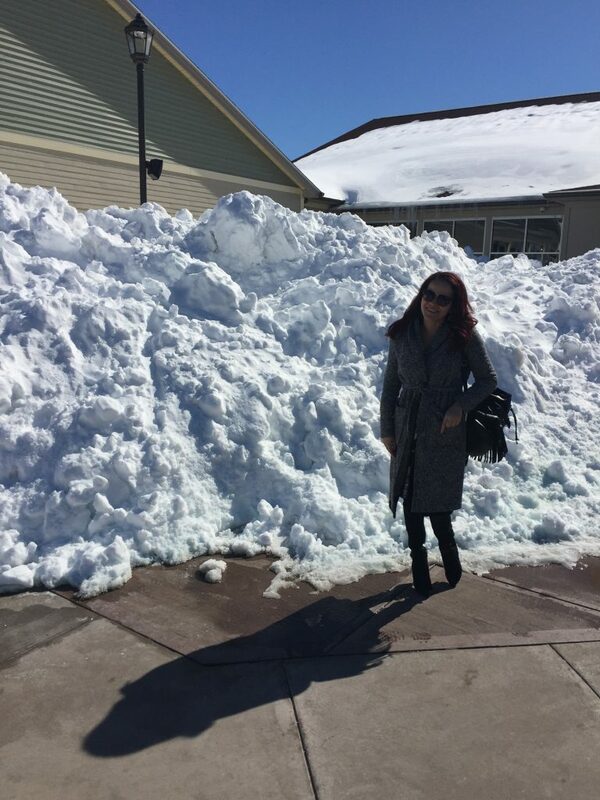 For example: Woodbury commons outlets is a great place to go to get good deals and there are different tours or ways to book the round trip transportation there. They even give you a VIP booklet with extra discounts. As a jazz and blues fan, I totally love the different spots you can find in New York City. 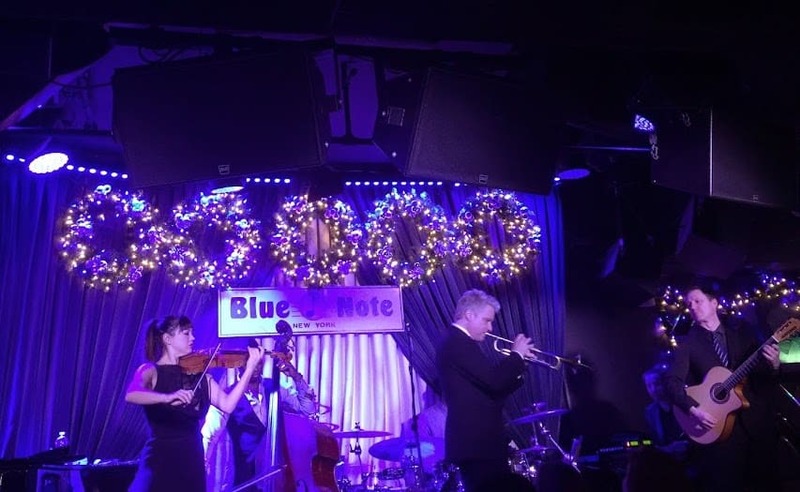 A few years ago, I went during my birthday (the week before Christmas) to see the famous Grammy award winner, Chris Botti at the Blue Note in New York City. It was such a fabulous and festive show that I still remember it to this day. There are many places you can go in New York City if you want to have a jazzy time, sometimes accompanied by good food and definitely, tasty cocktails! For example, Birdland is in Times Square so it can feel a little touristy and there’s a cover and drink minimum (like most places but more $ b/c of location). And I’d recommend eating first before going, but only b/c of the expense, but the music is usually worth it. Smoke has a more local vibe since it’s off-the-beaten path, as far as jazz joints are concerned, but the music quality is there and there’s lots of great places to eat in the neighborhood before or after. Fine & Rare is a newer venue that I happened upon randomly soon after it had opened, but what a pleasant surprise! The food was just as delicious as the music! Astoria Queens, Long Island City (LIC) Queens or Sunnyside Queens – All conveniently located 15-20 minutes from midtown Manhattan. There are different subway options available on these neighborhoods, such as the N, W, R, M, 7, E, etc. I love how these neighborhoods feel more local and you have plenty of nice restaurants and cafes, especially in Astoria. Astoria / Long Island City are one of my favorite areas to eat, where many of my favorite restaurants are located. You can find anything from Greek, Italian, Spanish, Asian Fusions, Caribbean food, Indian and more. I totally recommend it. Book your hotel here with Booking and find attractions in the area here. Williamsburg, Brooklyn – Great area and super close from Union Square (14th street area in Manhattan) stop. I really like this area a lot since it is cool with lots of hipsters around. It has some cool rooftops, also great cafes and restaurants. 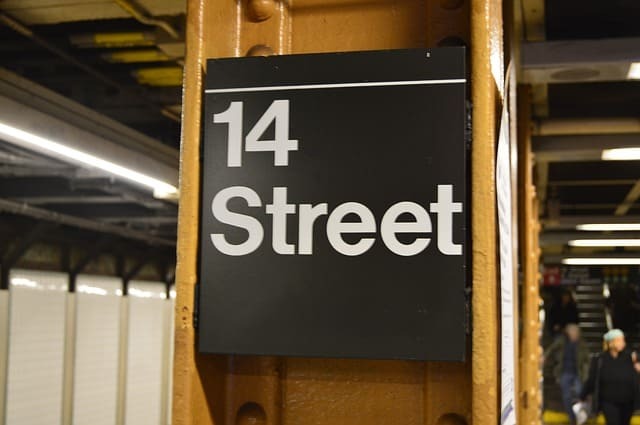 The only issue will be that starting April 27th, 2019, the L train (which is the one that passes around there and connects you to the city, will be under repair for 15 months). There will be other ferry or bus options. If you would like to know more about the L shutdown, read here. Dumbo, Brooklyn – One of my favorite neighborhoods in Brooklyn, New York is Dumbo. As you can see, there are so many alternative things to do in New York, outside of Manhattan. Dumbo has great views of the NYC skyline, really nice hotels, great restaurants, strolls along the shoreline, street art and more. You won’t regret visiting or staying there. You can also stay in an area in Manhattan that is walking distance to most Christmas Lights and main Christmas Markets in NYC: For example: Times Square, Chelsea, Midtown East, Upper East Side, etc. but be prepared to pay for the convenience. Tip: Do not forget to make Reservations at restaurants. 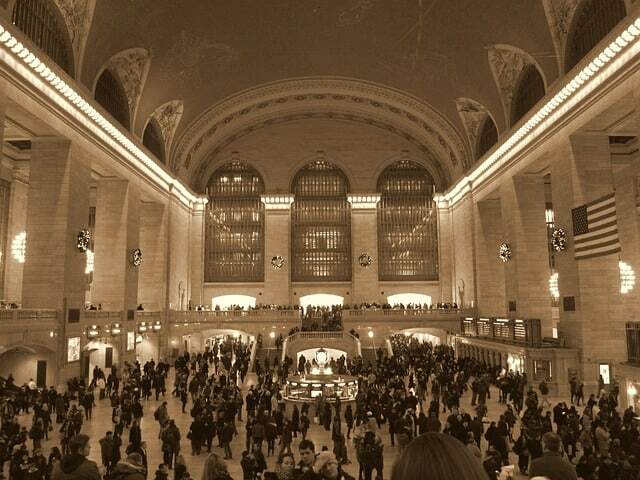 Holiday season in NYC is quite hectic and it’s no fun to wait hours to be seated. 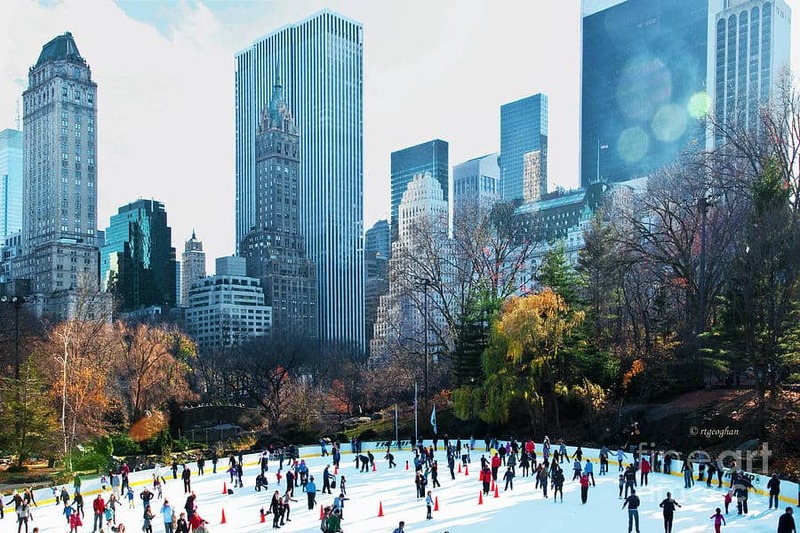 Best Things to do in New York City on Christmas Day – What is open? There are always plenty of things to do in New York City, even on Christmas Day. There will be certain things closed, but you can still walk around, sightsee, check out some observation decks and do some fun Christmas activities. Check this list below. Read on: Where to get the best views of NYC for free! My Top Travel Tips for you! Do not forget to grab your NYC Explorer Pass which gives you big discounts on NYC attractions and tours. Pre-book your activities! I can’t stress this enough. During the Christmas season all the touristy spots are jam-packed with people, so the smartest thing you can do is plan your trip and book everything in advance. Whether you want to watch Broadways Shows, go on Christmas tours or visit any main attraction (popular place) – pre-book! It’s your safest bet. Try to at least visit one or two Christmas Markets in New York City if possible. Enjoy the magic of celebrating the holidays in New York City. There is nothing like spending Christmas in NYC! If you cannot fit it all in your itinerary, no need to worry. There are too many things to do in New York City during the Winter Holiday and you can always come back. Looking for great nightlife, rooftop bars, restaurants and more? I was one of the travel expert contributors for an Expedia Pocket Guide to New York City! Here is a downloadable pocket guide just for you. You’re welcome! Can’t go wrong in deciding to spend the holidays in New York City! I hope that I’ve given you lots of food for thought when planning your next holiday get away. New York City just can’t be beat for all of the available activities that will fill you with joy of the holiday season and many more memories for years to come! 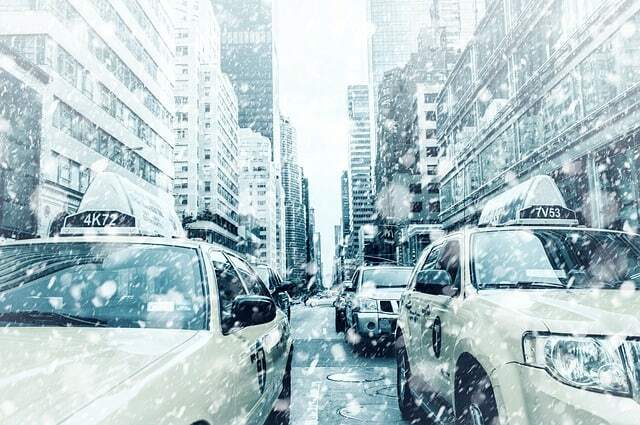 Traveling to New York City for the winter holidays? Pick up the Lonely Planet Guide to New York or if not the Fodor’s NYC Travel Guide. I love the market at Bryant Park! Have not been to NYC during the winter in a few years. Thank you for this updated info that would come in handy for if I visit anytime soon! 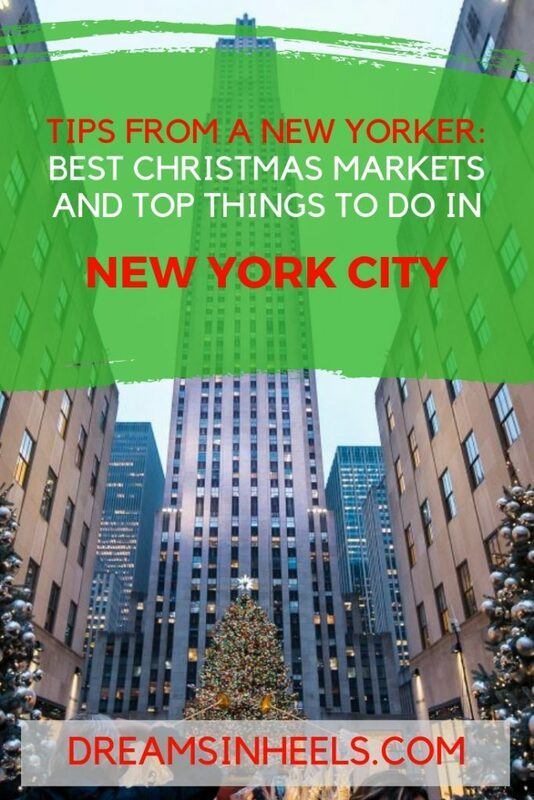 I’m headed to NYC next year so I’ll miss Christmas, but this was a massive guide that I can’t wait to use when I go! Especially visiting the other boroughs. I’m going to New York in a few weeks I need to go check these out!